Demon Decimator is a Strategy game from Pixelulsar. 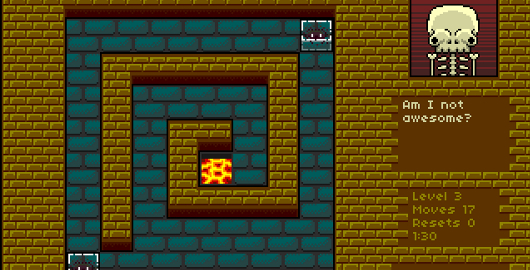 It is a puzzle game where you have to slide the demons into the lava to destroy them. There are many mechanics in the game to help you.